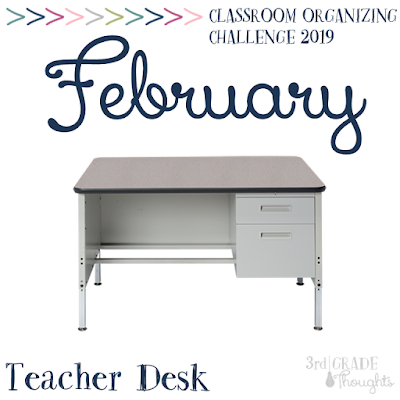 Welcome to the second month of my Classroom Organizing Challenge! 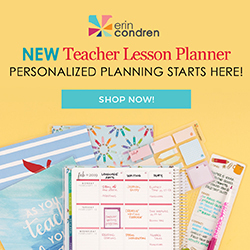 Each month this year, we're going to focus on a specific part of our classroom to get rid of clutter, organize, streamline, and make our classrooms more stress-free! Below is the list of topics and months, so you can join in and/or catch up anytime. If you haven't read the Getting Started post, I recommend reading that first for some simple tips, a fun playlist, and a big-picture view of 2019. Last month, we tackled student desks and this month, it's our turn! 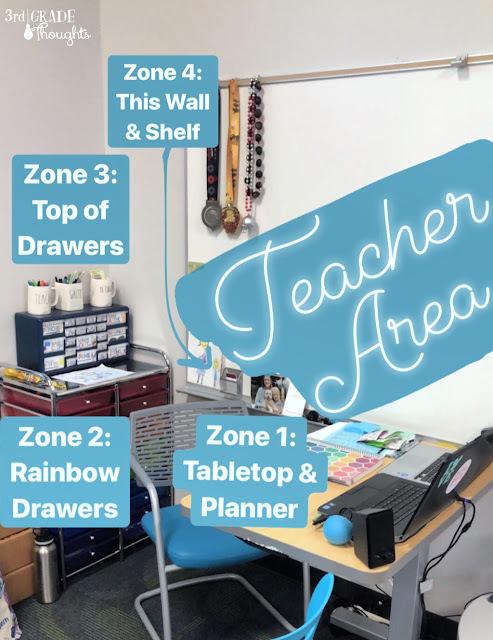 When I asked on Instagram about your biggest organizational challenge in the classroom, the topic that showed up the most was related to our spaces: desks, files, and work area. There will be more information about storage in March & April and we'll dig deeper into more systems during Teacher Life in September. For now, we're only tackling the area in front of you... which for me, is plenty! I am dividing each of these topics into weekly(ish) task items. I could never imagine trying to cover all of these in just one session or one week. Some of these items may require some trial-and-error to get it personalized to your liking, and that's okay! Flexibility and risk are key throughout this challenge. After many years of trying many different things, one of the best systems I have found that works for keeping my area clean is by assigning zones. I have divided my work area into four zones and focus on just one of them on certain days of the week. That frees up my energy and allows me to stay afloat without any one area becoming my "dumping ground" that eventually gets tackled in May... or never! My Teaching Area consists of a small table with my Chromebook and my old PC that still runs PowerPoint, my favorite rainbow drawers, and the whiteboard with my personal items and a lot of notes-to-self. Each week, I find I need to spend more time on some places more than others and it helps to go down the checklist to make sure I'm not intentionally ignoring a problem-area. Teacher Tip: Once you have the checklist that works for you, laminate it and just use dry erase or wet erase markers on it. It saves time, paper, and sanity! If you'd like a copy for your own zones, you can pick up a lined and unlined PDF for free HERE to help! I set an alarm on my iPhone to remind me to do this checklist because I will avoid it otherwise! My alarm is set when my students are having Snack and DEAR time. I am usually done before 9:30am. I found that if I set this when kids are in the classroom, I accomplish everything much faster. When kids aren't in the room, I got distracted by needing to use the copier, running to my mailbox, going on a bathroom break, chatting with coworkers.... pretty much anything but organizing! I can obviously do more if I need to and most of the time it doesn't take more than five minutes for me to run through the checklist. I keep this posted on my wall in Zone 4 so it's staring at me everyday and I can access it quickly when I need it. These zones have cut down on the piles I have all over the place because I can address them on a somewhat daily basis. It always seemed too overwhelming to try and address them as they come in, since we're usually moving on to the next activity. My main issue was what to do with the piles of student work that came in each day. Some needed to be graded, some filed, some passed back, some sent to the office, etc. 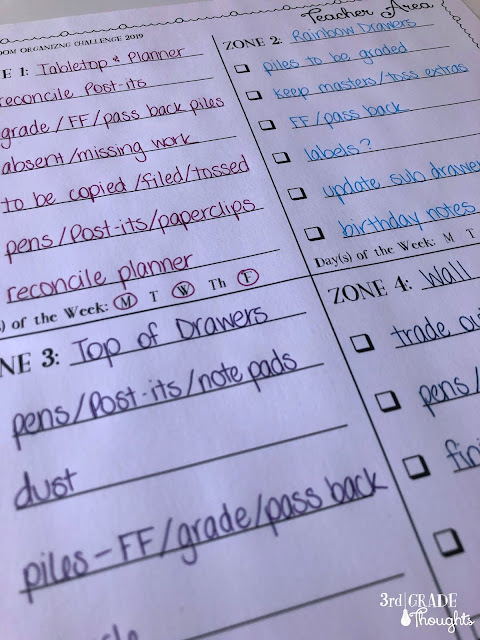 We'll be tackling piles and files next week, but for this week, think of the zones you can establish to help make your weekly tidying that much more efficient, streamlined, and quick! How do you keep this area clean? Do you have a system that works for you? Share below in the comments, as I know we can all benefit from each others' experiences! What is the area that I consider my Teacher Area? Does this include a desk/ table/ shelving? How can I divide this area into four smaller zones? What zone(s) are my highest priority? What zone(s) are my middle priority? What zone(s) are my lowest priority? How can I divide up these zones in a Monday-Friday schedule? 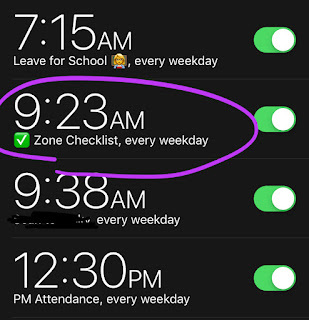 Which zones need multiple days? What time of day could I use to tidy? Before, during or after school? Would setting an alarm help? What checklist items are in each zone? Where can I display this weekly checklist so it is visible and/or easy to access? * Would you like these Think Abouts in a handy PDF? Click HERE. Be sure to follow along with me on Instagram @3rdgrthoughts on both my feed and my IG Stories throughout the year. 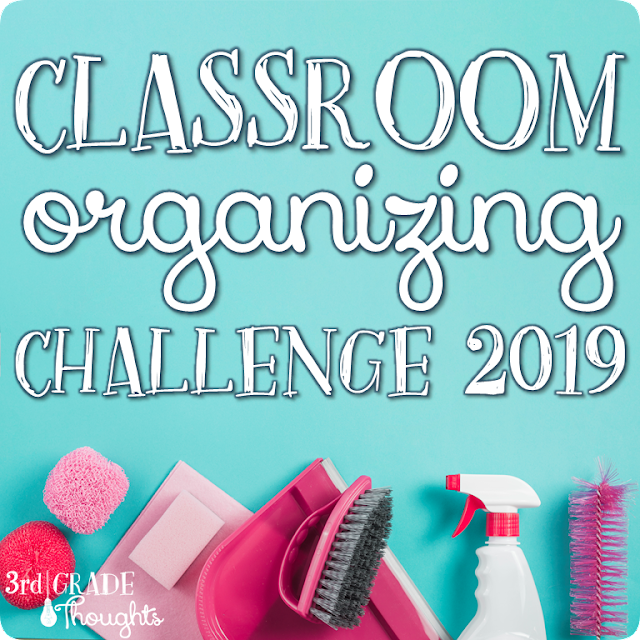 Tag any of your before & afters, progress, or projects using #ClassroomOrganizingChallenge. Together we can finally tackle the visual clutter and stressful spaces! 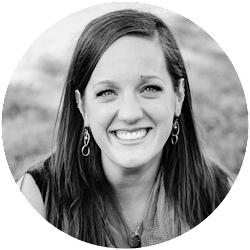 Join me next week when I dive into more of February's challenge!